Israel has recently, officially, committed to supporting the NATO backed Saudi Coalition war of aggression against Yemen. Importantly, Israel is imposing the condition that it has use of the Taiz air-base in the Red Sea. “According to reports, the Chief of General Staff of the Israel Defense Forces, general Gadi Eizenkot said on the meeting between Jordan’s ambassador and his Saudi confrere, Khalid bin Faisal bin Turki, that was held in Amman, the capital of Jordan. The general added that the situation in Yemen was discussed at this meeting. Saudi ambassador said that the war of attrition in Yemen has changed the strategy of the kingdom that is ready to use the experience of Israel now. “A Yemeni military source said that a Toschka Ballistic Missile fired by the Army and Public Committees Rockets Forces into the Operations Room of a Military Camp of the Saudi-led Coalition and their local mercenaries killed several foreign and local officers and troops. Among the dead foreigners is an Israeli Colonel named Vegedora Yagronovesky, a Data Analyst with the Israeli Army. The military camp is called Al-Hajf South of Ta’ez Governorate. Yemeni forces shot down a drone spy plane said to be supplied by Israel on July 10, 2016 North of Sana’a in Arhab District. The Saudis and Israelis have entered into negotiations about the latter providing assistance to the “Saudi-led Coalition” to defeat the Army and Popular Committees in Yemen who have remained undefeatable against all the invading forces including official armed forces of Saudi; United Arab Emirates, Qatar, Kuwait and Bahrain, Sudan as well as US and British advisors, US and Egyptian naval vessels, in addition to private mercenary armies like Blackwater and Dyna and local tribal mercenaries and Islahi militias. Reports of these talks have appeared in Haaretz Israeli newspaper and at South Front. 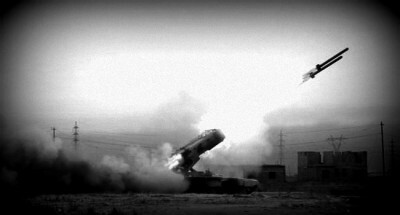 The Toschka Missile has dealt a deathly blow to the hodgepodge forces of the Saudi led cheaply bought alliance on a number of occasions once, in Ta’ez and another in Marib, both of which killed scores of UAE and Blackwater troops, including senior officers of both. Blackwater has since left Yemen and UAE troops have also left Mareeb and Bab Al-Mandeb area.